This is an invitation-only event for friends and family of award honorees and PEN Members. Invitations are non-transferable. Please note that the RSVP deadline has passed, and this event is now at capacity. If you are unable to attend, you can watch a livestream of the Awards Ceremony on this page, starting at 6:30pm EST, Monday April 11. View PEN’s advertising and sponsorship packages here. To inquire about these opportunities, please contact Paul Morris at [email protected]. As the ceremony will begin promply at 6:30PM, we advise guests to arrive early. 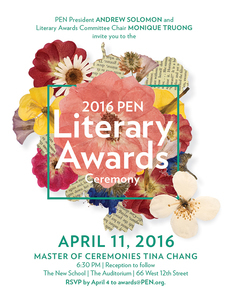 The 2016 PEN Literary Awards Ceremony will honor the winners for all of PEN’s 2016 Awards. Winners for most of PEN’s awards were announced on March 1 and can be found here. Winners for the PEN/Robert W. Bingham Prize for Debut Fiction, PEN/Diamonstein-Spielvogel Award for the Art of the Essay, PEN Open Book Award, PEN/E.O. Wilson Literary Science Writing Award, and PEN/FUSION Emerging Writers Prize which will be announced live at the ceremony. View our ceremony program here. A ticketed reception will follow. Click here for more information on the reception, including ticketing details. The event will also be sign language interpreted. If you are a guest who requires these services, please email Awards Coordinator Arielle Anema regarding seating. 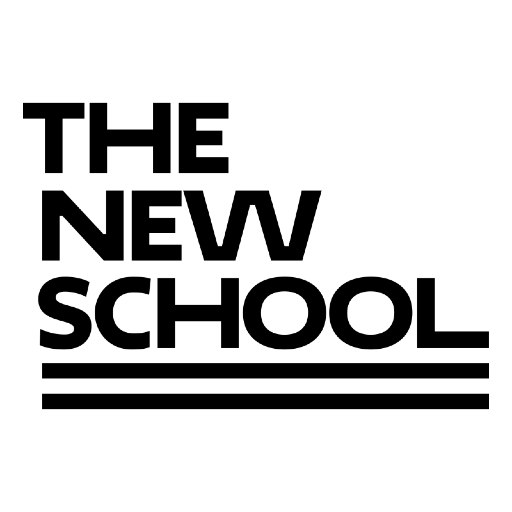 PEN gratefully acknowledges Bauman Rare Books and The New School for their generosity and hospitality. Special thanks to the evening’s sponsor CAA.